Once upon a time, I was a slam poet. I guess you don't ever really stop being a slam poet, but for me, my poetry juice appears to have dried up. I went through a period in my early/mid 20s where, when I put pen to paper, it made me proud and I worked up the courage to throw words into a crowd. 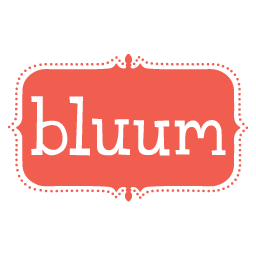 Now, I'm lucky to find the time to blog right here, where I've been blogging for 10 years now. One of those poems I penned during my slam renaissance was called "First Fat Miss America." It was inspired by an interaction I had as a child while watching the Miss America pageant, and it painted how I viewed myself and how I felt about myself for a long time. Yes, I was told that I, Amanda Jo Edwards, could be the first fat Miss America. I had the potential. Now, I suppose this could have been a compliment, the idea that I, a girl born and raised in the Midwest of the United States, could achieve such a fanciful goal. But I got stuck. Stuck on "fat." And I think that was the point. I was never thin, and I was always depressed about my size. I was a pretty cute baby, gosh darn't, but starting the moment I hit school, I was fat. I was basically fat up until I hit middle school and learned that I could skip lunch, I could dump it all in the garbage and my parents would be none the wiser. Yet, somehow, years of skipped lunches and grumbling stomachs didn't leave me thin. I just got fatter. 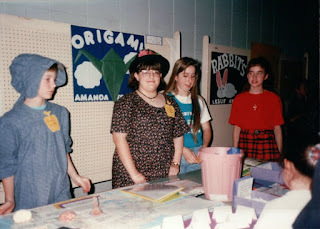 My mom made my clothes for most of my younger years, and as I got older I ventured into the Pretty Plus section at Sears (the girls' equivalent of Husky), and when I entered middle school, I started noticing how different I was. I had a very tight-knit group of friends, 80 percent who were much, much thinner than me. By 6th grade I'd shot up in height, hit puberty, and was gigantic compared to both boys and girls in my class. 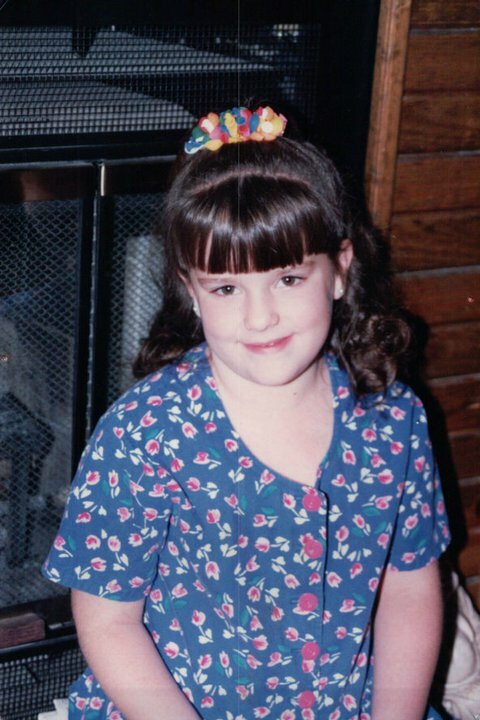 I started wearing women's clothing, and it wasn't pretty. In high school, I went through the same pattern of having extremely thin friends, tossing my lunch, and trying to stay as slim as I could. When I'd tell people how much I weighed, I was always told, "wow, you really wear your weight well." I worked at McDonalds for two years in high school and managed a steady diet of a plain grilled chicken sandwich with a touch of sweet and sour sauce and a small fry. I didn't succumb to the cravings; I had to watch my already-large figure. Just before graduation in 2006. By the time I graduated college, I was at an all-time high weight because the rigors of college newspaper life (80 hour work weeks and midnight runs to the local bar) left me drunk and with the munchies and that led me to fast food restaurants. Food was comfort, clothing was hell. After I graduated college and moved to Washington D.C. in 2006, I lacked a social life, and I started to lose weight. I went vegetarian (it was cheaper), walked just about everywhere, and was depressed as hell. I moved to Chicago to be with a boy and gained 30 pounds because, well, I was still depressed and he cooked the most outlandishly fattening food and bars and late-night pizza were our jam. I was at another all-time high weight when I moved out and we broke up. 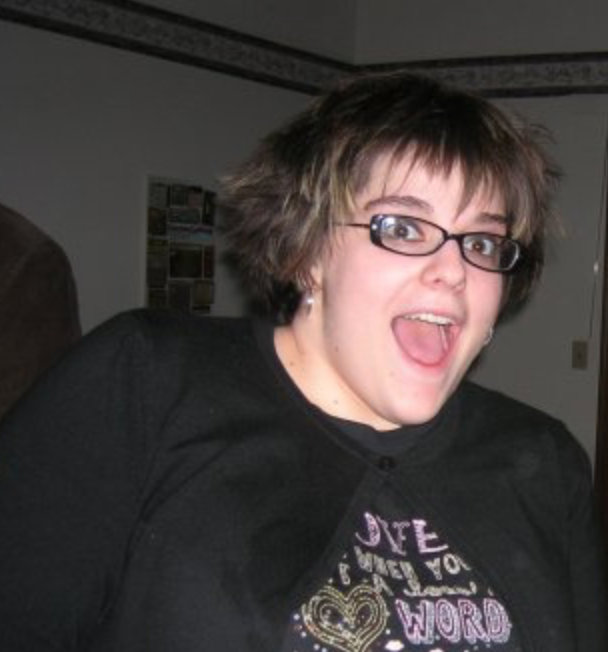 I went on Weight Watchers in 2008 and lost 25 pounds, bought a new wardrobe, and finally felt beautiful. I attempted to replicate that 25 pound weight loss, but despite a dozen times rejoining, it's been unattainable. Since then, I've basically been the same weight. I will proudly and boldly say I hover at around 210 pounds, and there's nothing I can do to budge those numbers, it seems. With Little T, I managed to gain about 25-30 pounds, quite the opposite of what happened with Asher, when I lost 25 pounds during and after the birth (and then regained them, of course). The funny thing is that right after I had Little T, I dropped those pounds and floated right back to my starter weight (yes, it was all fluid retention). They say with every pregnancy and as you get older, your weight shifts and you wear it differently. My truth is that, yes, perhaps I wear my weight well, but I have always hated how I wear it. I've always been angry that my mom, my dad, and both of my brothers had skinny chunks of life. I've never had the opportunity to experience "skinny" like they did. They could lose the weight, I always told myself. They just don't. It's not fair. When I came home from the hospital with Little T and surveyed what was left of my pre-baby clothes and my pregnancy clothes, I cringed. Nothing fit right. Too loose, too baggy, too tight in the wrong places. Only my loose-fitting cotton Old Navy maternity skirts really fit well. I tried very hard to put the clothes on and feel comfortable, or beautiful, or whatever a woman who just gave birth and who has hated her body her whole life should feel. Toss on the fact that everything I wear needs to be nursing friendly and, well, I could have broken the mirror. You see, a friend from Facebook who I've never met in real life had invited me to this online "party" to buy clothes from this company called LuLaRoe that I'd never heard of. I ended up wanting to buy some things, but being anxious about the sizing, I opted out. 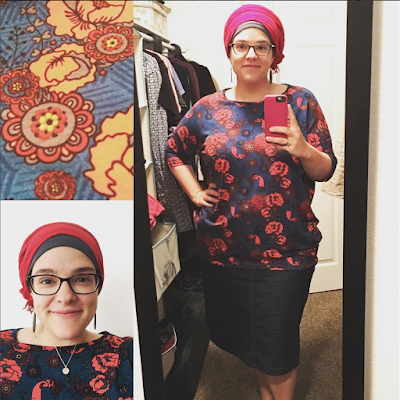 After I had Little T, I popped into one of these "parties" and ended up buying a skirt on a whim based on some sizing instructions from a LLR consultant. Unfortunately, the sizing instructions, while perfectly accurate, were not really perfect for someone of my size trying to dress modestly. 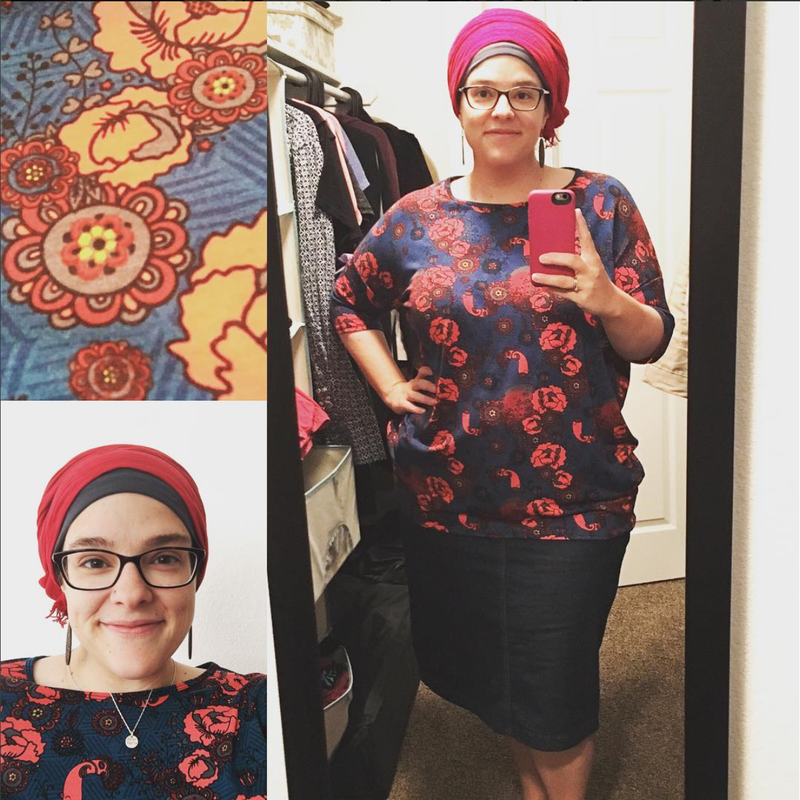 On a whim, I went to the LLR website to see if there was a local consultant. I found a woman who happened to live right around the corner (I could walk to her house in about 10 minutes) and it turned out she was hosting an in-house popup that very week. Perfect. It was bashert (meant to be). I sent her a message about how excited I was because I needed to try on some of the styles to see what sizes were right for me. I explained I was Orthodox, and that I'd see her soon. In the meantime, I was waiting for a skirt I'd purchased, again on a whim, from a small company called Jade Mackenzie to arrive, and guess what, it did. Perfectly. Like a glove perfectly. The funniest thing about it was that the size that I ordered would have once made me cringe or be depressed about my size, but it fit, and that was all that mattered. I found something that was stylish, comfortable, and fit my modesty needs. I felt like I was on to something. 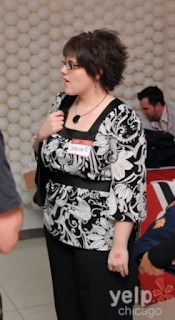 At the LLR party I went to, I started trying on clothes. The sizing is a bit wonky until you get used to it, so I was able to buy a Large in one style and a 2XL in another, but again, the sizing didn't get me down. I found shirts that fit. Shirts that were stylish. And the consultant encouraged me to go for patterns, and when I picked one up and tried it on, I felt golden. Now, for those of you who've never been fat, you might not understand what it's like to put on a patterned shirt. I'm not talking about something black and white that's lightly patterned, I'm talking bright, vibrant colors and loud patterns. As a fat person, you just don't wear that type of clothing. It draws attention, you're told. It makes you look like a clown, you're told. Fat people don't wear patterns, stripes, polka dots (+1 on the clown comment), or anything other than muted colors and, most importantly, most especially, black. You wear a lot of black. It's slimming on everyone, but especially larger women, of course. This patterned, size large, Irma was a gateway. I'm reimagining my wardrobe as we speak. I bought another patterned Irma, my "unicorn" as I'm calling it, because when I put it on (I could wear it every day), I feel invincible and beautiful and funky. It's the textile version of the ridiculous dialogue that's constantly running in my head. And the best thing about the Irmas? No crazy layering. 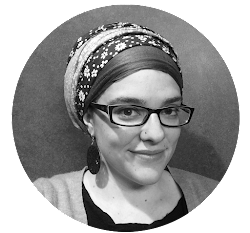 As a fat, breastfeeding Orthodox woman, the truth is layering is my worst nightmare, especially in the summer, but in many cases, it's a necessity. For the first time in a long time, maybe since 2008 when I dropped those 25 pounds and found my figure and self-confidence, after three years of hearing Mr. T say "stop insulting my wife" when I put myself down, I think I'm on to something. I think I'm on to feeling beautiful and throwing cautious attire to the wind. I'm not looking at sizes anymore, I'm looking at styles, colors, patterns, and what it does for my shape. Size is just a number. A stupid, unnecessary number that makes people feel bad about themselves. Stick to style. Note: Yes, I use the word "fat" to describe myself. By medical standards, I'm morbidly obese, oh my! I could use the words curvy or plus-size, but they're just masks. I'm okay with the word. Are you? Sending the Baby to Daycare: Am I a Monster?